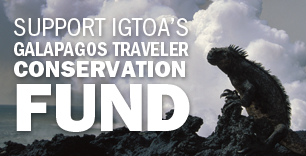 The following is a guest blog posting by Chad Hanson, a Project Director with Island Conservation, which received a $25,000 IGTOA grant in 2017 in support of its Floreana Island Restoration Project. The project aims to remove harmful invasive species from Floreana Island, such as rats and cats, and to repatriate several iconic species that have gone extinct locally, including the Floreana Mockingbird and Floreana Giant Tortoise. 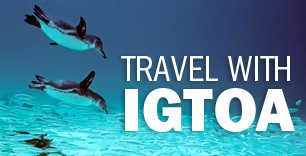 The following is a guest blog post by Lady Márquez and Juan Sebastian Torres from Ecology Project International (EPI), which received $25,000 in grants from IGTOA last year. 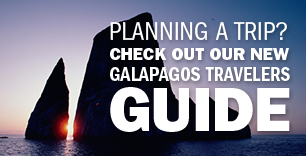 To conserve the Galapagos Islands, the United Nations wants Ecuador to develop a tourism strategy within two years that includes a moratorium on the construction of new tourism projects and that limits the number of flights. Can the fragile islands withstand the onslaught of visitors that long?